Experience the 3D effect of observing through giant binoculars. It really seems as if the stars, planets, and globular clusters are floating right in front of your eyes. 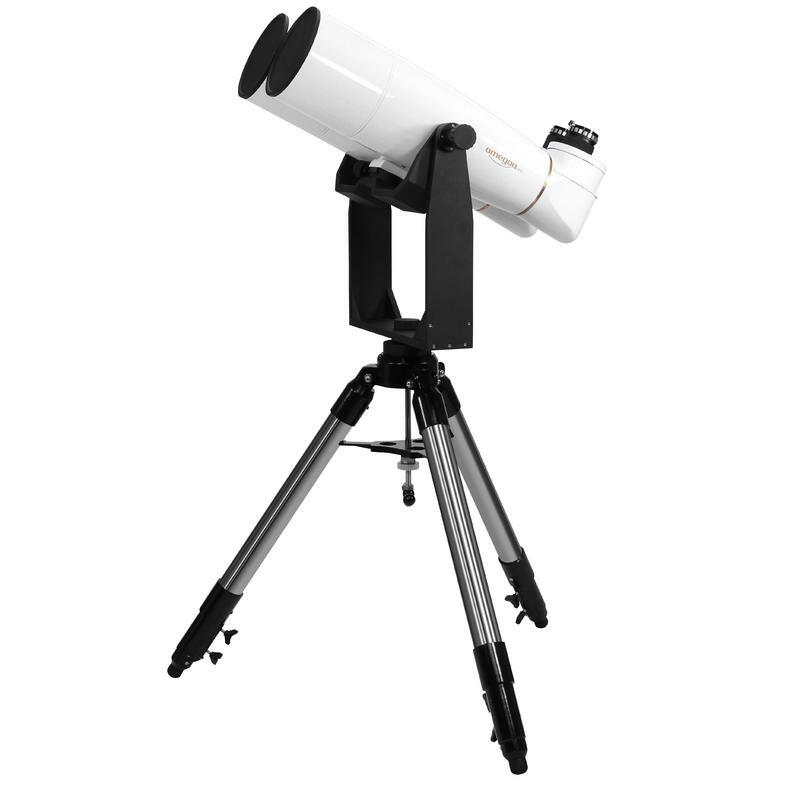 With a complete 150mm large diameter refractor for each eye, the universe is on your doorstep. Two eyes always see more than just one. Have you ever tried to pick up a glass with one eye closed? You cannot see exactly where it is and fumble at empty air. You are missing the 3D effect - you only feel right using two eyes in everyday life. 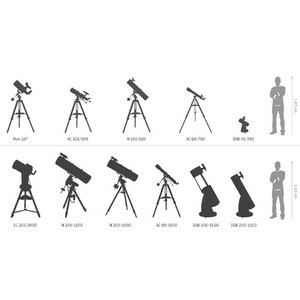 It is a similar story when observing the night sky. Observing with both eyes is an entirely new feeling. Suddenly the M13 globular cluster becomes a ball of stars floating in space and the edges of craters on the Moon have much more depth. The wisps of gas in a hydrogen nebula become sculptured in 3D. A fascinating experience! It is much more pleasant to use both eyes when observing, and you will see more detail. Reason enough for a double refractor? 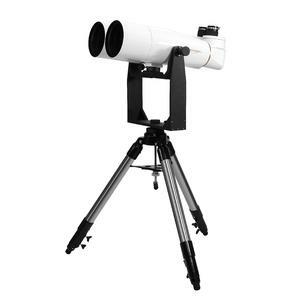 You enjoy a sharp image right out to the edge of the field of view when looking through these binoculars. The objective lenses have a Halbapo triplet three lens element design. Multi-coated lenses and pull-out dew shields ensure a high contrast image. This double refractor is also a wide-field instrument as you can use 2" eyepieces for observing. Two 2" focusers with 90° viewing provide relaxed observing - without having to twist your neck into an uncomfortable position - at angles around the zenith. In the end your hobby is for enjoyment and not to provide work for orthopedic surgeons! 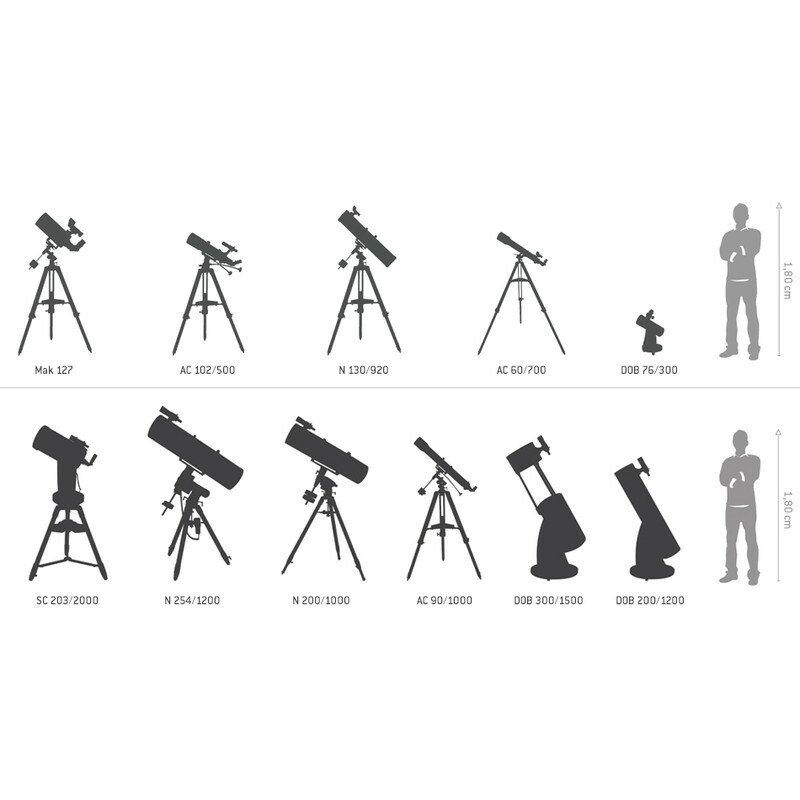 If you want to go to higher magnifications, you can of course also use your own 1.25" or 2" astronomical eyepieces instead of those that come with the instrument. You can focus directly by rotating each focuser and so adjust each side to the exact requirements of your eyes. At 12 kg, this double refractor is quite hefty. It is a big advantage not to have to go looking for the right mount as an appropriate mount is already included. It consists of a steel tripod with a wide fork mount. A prism rail is located on the fork which holds the base of the binoculars securely in place. 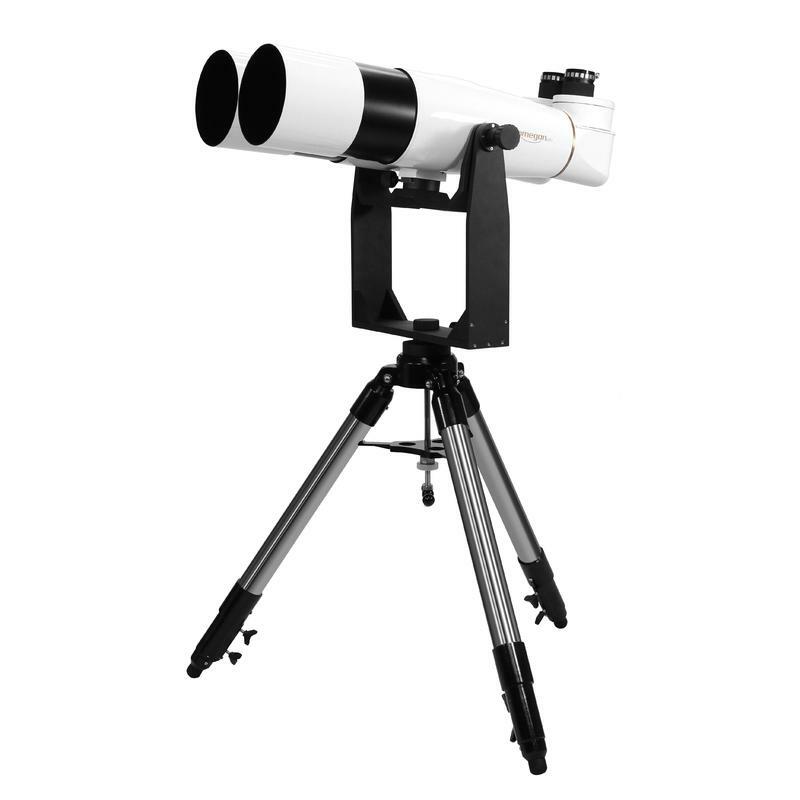 Once sitting in the fork mount, the binoculars can be moved through 360° in azimuth and from the horizontal right up to the zenith. This means you can reach any point in the sky or at ground level. 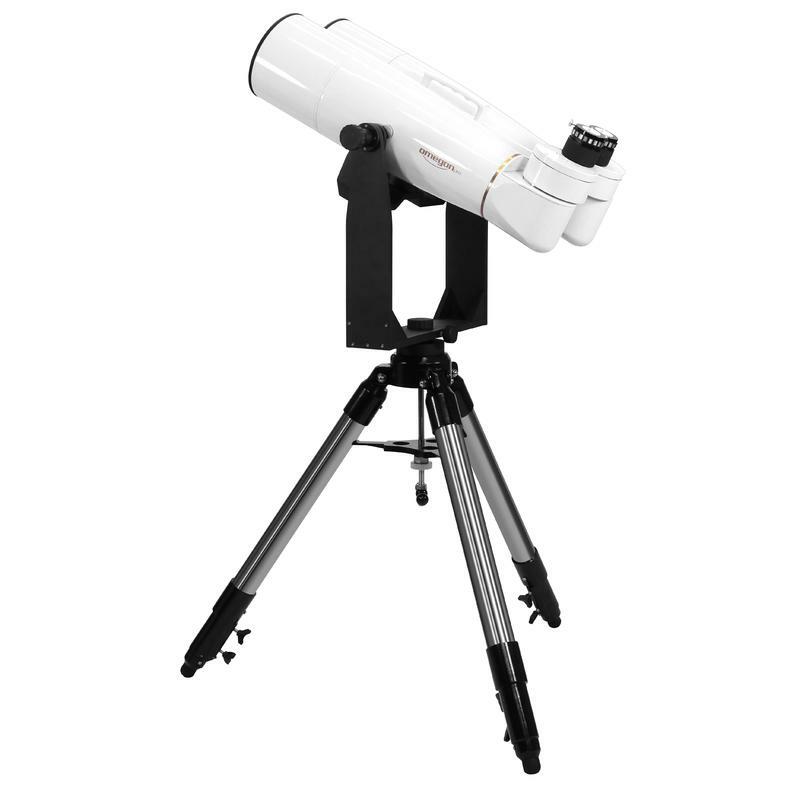 The Omegon double refractor can be kept out of harm's way in the carrying case it comes supplied with. 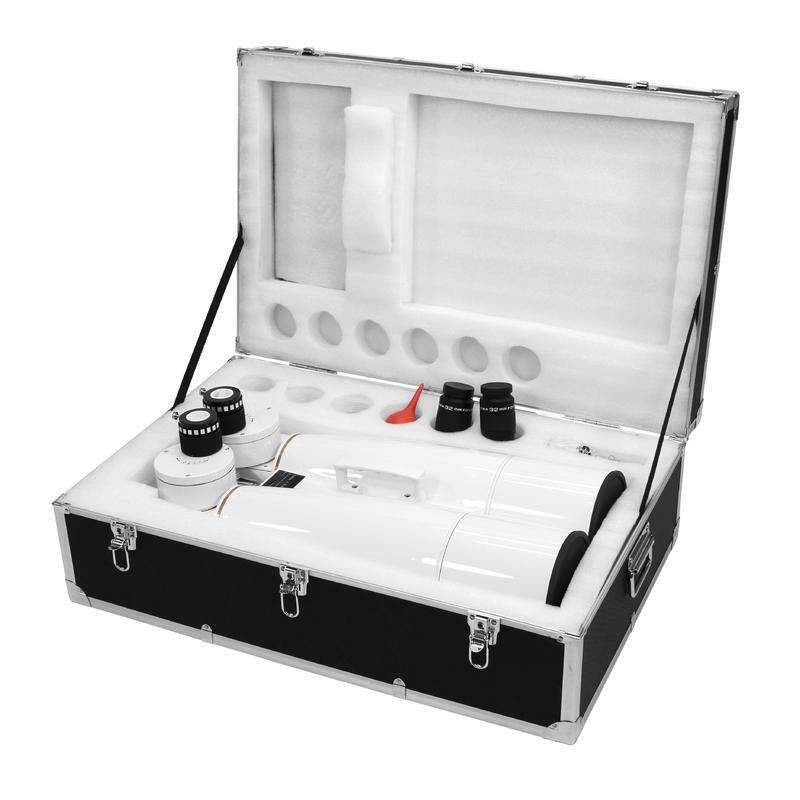 The form-fitting insert in the case means the instrument fits into it perfectly. The set includes two 32mm focal length eyepieces with a 70 degree apparent field of view. They provide 27X magnification with the double refractor.